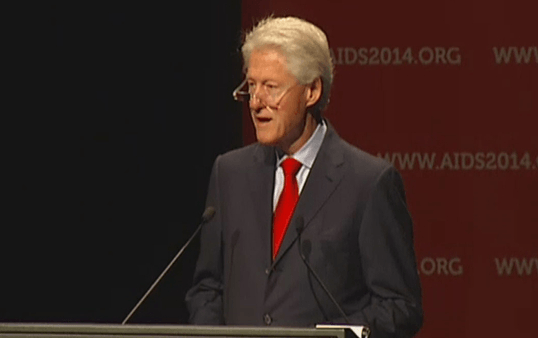 For Former U.S. President Bill Clinton, the key to the successful future treatment and prevention of HIV and AIDS must focus on the most intimate human relationship of all. Mother-to-child transmission has also been the focus of the work of mothers2mothers, a 2012 recipient of the Henry R. Kravis Prize in Leadership, since the organization was founded in 2001. In its efforts to highlight the problem of mother-to-child transmission, the non-profit organization has recently found unexpected allies in the celebrity community, including pop star and fashion designer Victoria Beckham and music producer and musician Ryan Lewis. Beckham spent time with m2m’s founder in South Africa, while Lewis revealed a personal story of his mother’s plight with HIV transmission in a video receiving much media attention. The organization was thrilled to have this issue highlighted by the former president. “Like President Clinton, we at m2m believe that eliminating pediatric AIDS and achieving an AIDS-free generation is possible,” the organization said in a statement. “No one is better placed to address this stigma [of mother-to-child transmission] than the Mentor Mothers” which is a hallmark of m2m’s work. In addition to Clinton’s remarks, the issue was also highlighted at the AIDS conference by several m2m members who served as conference participants. Details of m2m’s participation at the Melbourne conference is described on the m2m website. Visit here for more on m2m and the Kravis Prize at Claremont McKenna College.